Side impact collisions, commonly referred to as "T-bone" or "broadside" car accidents, are an unfortunately common occurrence in Massachusetts and nationally. This type of car accident is particularly dangerous, because the driver and passengers absorb much of the force of a side-impact car accident, often causing serious personal injuries and fatalities. Side airbags are not standard in every car and truck and most vehicles only have "crumple zones" in the front and rear to help absorb an impact. These all lead to an increased risk of injury and death. In fact, according to the US Office of Health, Safety, and Security, side-impact car accidents cause over 9,000 deaths annually, second to only head-on car accidents. Hundreds of thousands of serious injuries result on those victims who survive side-impact crashes. The experienced Boston car accident lawyers at Bellotti Law Group, P.C. have successfully handled hundreds of side-impact car crashes, understanding the unique challenges each case brings. Our personal injury attorneys conduct the most thorough investigation possible before advancing your case to prove the liability of at-fault drivers and hold them accountable for your damages. The Boston car accident attorneys at Bellotti Law Group, P.C. also have extensive dealings with insurance companies and will get you the compensation you deserve, either through skilled settlement negotiations or sharp litigation in court. Call our Boston, Cambridge, or Quincy office today at 617-225-2100 for a FREE evaluation of your case. When a car is hit on it's side, the driver and other passengers are placed at an increased risk of sustaining life-altering, and sometimes fatal, injuries. There simply is not enough of a buffer between the occupants of the vehicle and the impact, raising your risks. Traumatic brain injuries, broken bones, paralysis, neck, back, and spinal injuries are just some of the serious injuries associated with side collisions. 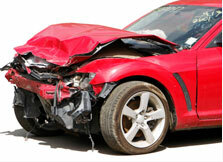 Negligent drivers are nearly always the cause of T-bone or broadside collisions. This commonly includes speeding, switching lanes erratically or unexpectedly, not following traffic signs, signals, or lights, distracted driving such as texting or calling on a cellphone, and many other unsafe driving tactics. Most side collisions happen at intersections, when another car fails to yield, runs a red light, or crashes into a turning vehicle. One particularly negligent act that creates a very high risk of side-impact car crashes and serious, often fatal, injuries is running red lights. Each year, over 900 people are killed and more than 150,000 are injured nationally by cars running red lights. Nonetheless, 1 in 5 people actually admit to running a red light in the past year. With the recent placements of surveillance cameras, it is now easier than ever to catch offending motorists. The Boston car accident lawyers at Bellotti Law Group, P.C. will launch a complete investigation of your case and hold any negligent party accountable for your medical bills, lost wages, pain and suffering, and more. Contact an experience Boston car accident attorney today at 617-225-2100. We have decades of success dealing with insurance companies, medical providers, and authorities to obtain fair and full compensation for your injuries. We have offices in Boston, Cambridge, and Quincy and have served clients in every part of the Commonwealth.